Home→blog→Is a Beebot a computer? Sway Grantham finds that posing the question ‘What is a computer?’ to children across the primary age range initiates some interesting conversations. No, really. What is a computer? Could you explain it? Could the children in your class? We spend so much time learning how to use, program and control a computer that we often don’t take the time to recognise what they are. Code is all around us, yet it seems invisible to most. Can your class spot the computers all around them? Whenever I teach, anything, I try to give the children a context – why is this something useful to know? I am sure this is the same for many of you as it gets children excited about the real-world impact they can have with this new knowledge. Computing is ideal for this. There’s not much of our children’s lives that isn’t impacted by programmed technologies, from household appliances, to public safety measures, to everyday objects in supermarkets and shops, yet how many of these things do the children recognise as needing to be programmed or even having computers inside of them? Barely any. Is there a computer inside? Now this simple activity can show us the beginnings of a wealth of misconceptions. For example, many children identified a computer as needing ‘a keyboard’ to make it a computer. There’s also a belief that machine, technology, electrical device and computer are synonyms for one another. The other commonality is describing the computer’s function as if to define it we just need to know what it does. This definition greatly reduces the potential a computer has to only ‘searching’ or ‘gaining information’ and this understanding is going to hinder the children’s acknowledgement of the application of computing to anything beyond personal use. With younger children, first we get a piece of paper and ask them to fold it into quarters. In the first box, they have 2 minutes to draw a picture of a computer. Nearly all of them will draw a laptop. Then we discuss what they drew – did their laptops include a keyboard and a mouse? What about a screen? By acknowledging the parts of a computer, we can later explore which parts are necessary for a computer to work. Now we move on to box two. This time I ask them to draw a ‘different type’ of computer and I usually get a mixture of a desktop computer or a games console connected to a TV. Again, we talk about the parts. Is there a screen? What about a keyboard? Now we can have a discussion about there being no keyboard on a games console but instead there is a controller. I then repeat this process twice more, but this time I change the question to ‘what objects do you think have a computer inside of them?’. Each drawing they do leads to interesting discussions from traffic lights, to remote control cars or ipads. What happens when you press this button? Learning that you can take control of the world around you with a little bit of code. I have already mentioned that I think it’s important to show children a context for what they’re learning, but recognising what a computer is and what devices have computers inside of them is more than that. After three years of a new computing curriculum, my children can explain that an algorithm is ‘a clear and detailed set of instructions that explain what you want the computer to do’ They can also tell you that a program is ‘a set of instructions that runs on a computer to tell it what to do.’ Both of these meet the National Curriculum requirements for computing well. Following this, we might get out a programmable toy such as a Beebot, and request they program it. However, to them, this is not a computer. If it’s not a computer, it can’t run a program, so what are they learning from playing with it? Suddenly, their learning seems disjointed and nonsensical. As the children get older, it becomes more and more important that they recognise the programs that are working all around them. The National Curriculum states that children in Key Stage 2 should ‘work with variables and various forms of input and output’. This only makes sense if they can acknowledge what an input and an output are. Which parts of the computer are vital and which are optional? Inputs and outputs can vary – are you going to control your robot with a keyboard? Or do you want a voice-controlled robot? If you do, the input would be a microphone. Is your robot going to have a screen? It’s unlikely that this is the most useful output for a robot. Earlier, those children that described a computer as having a keyboard, are unlikely to be able to think of alternative forms of input that their program could make use of and thus not be able to achieve this part of the curriculum. Even the youngest of learners at our school start learning about what a computer is and how to recognise them. They start with spotting buttons, wires, batteries etc. and then we talk about what they do. If they recognise that when a button is pressed, there are instructions to follow, they’re beginning to understand what a computer is and where you’re likely to find them. As children move through Key Stage one, we begin the technology hunts spotting buttons and discussing what might happen if we press them. This is where we start differentiating between those things that just use electricity and those that run a program. A lightswitch doesn’t given an instruction to a light, it just breaks the circuit. 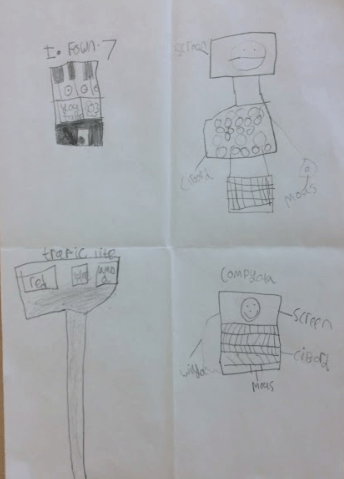 By Key Stage 2, we explore the world around us and try to work out what the algorithm would be. We use ‘input’ -> ‘process’ -> ‘output’ to decide if something has a computer inside or not. Each time we use this model, we reaffirm what an input and output are as well as the basic concept of programs running on computers. For example, what’s the input on an iPad? How do we tell it what to do? There’s a home button, a touchscreen, or we can talk to it using Siri (a microphone input). What code runs when we press the home button? Something like ‘when button pressed, show home screen’ and then the output? How do we know it’s done what we wanted it to? We can see it on the touchscreen. 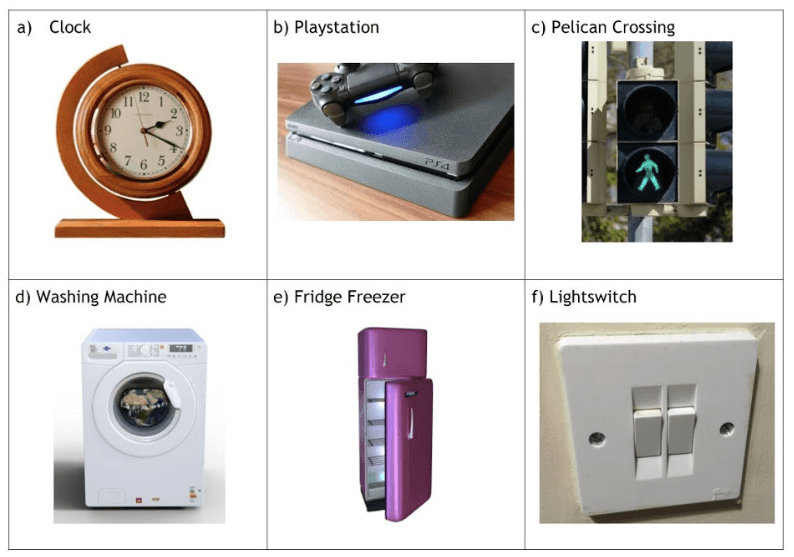 This simple model allows us to test different machines or items of technology and tell if they are a computer or not. One misconception I regularly hear, is children referring to a monitor, or the Interactive Whiteboard, as a computer. Using this model we can test this misconception, what’s the input? There are some buttons. So what happens when we press them? It says ‘no input’. What’s the program it’s running? It’s not doing anything because there’s no laptop plugged in. Then is it a computer? No. We now have a way to start conversations about whether or not a device is a computer and therefore whether or not a device is running a program. As we work our way through upper Key Stage 2, we add to the challenge. What about when inputs are sensors? Can the children work out how automatic doors work? I have heard many, many amazing possible ways in which automatic doors can work, from a man watching a camera and pressing a button all day, to heat detectors checking you’re allowed to enter, but once again, the children are exploring their misconceptions of the world and developing their understanding of how the subject of computing is applied all around us. It’s important that children learn have ubiquitous programming is so that they grow their understanding of a world they’re a part of. Once you start these conversations, you never know where they’ll end up, but curious learners are a valuable asset! 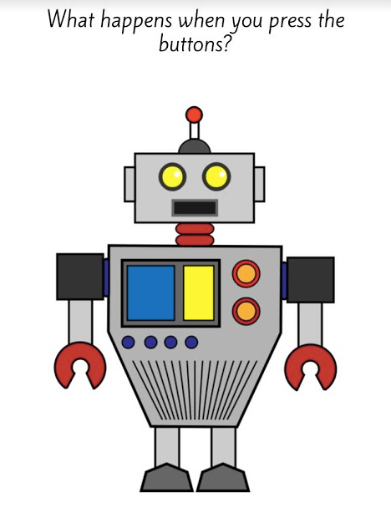 Take some time this week to ask your class: is a Beebot a computer? Sway studies with Helen Caldwell on the Postgraduate Certificate in Primary Computing course at the University of Northampton. This one-year course leads to 60 Master’s credits and is available as a fully online or blended version. Contact helen.caldwell@northampton.ac.uk for details. Interesting topic. Lot of previous work on this.